Join this introductory class for beginning violinists. This is an introductory class designed for the beginning violinist. Students will enjoy playing in this fun, relaxed atmosphere where friendships develop, new skills are learned, and the joy of music is experienced. 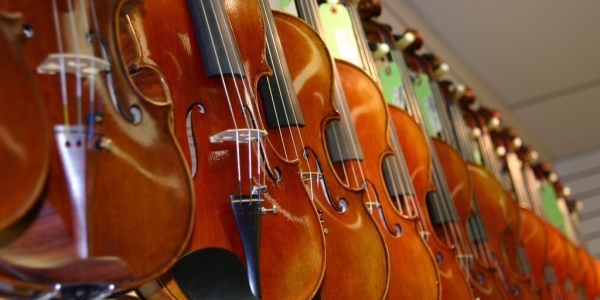 Note: violins are available for students to borrow for the duration of the class at no additional cost. Please reserve a violin when registering if one is needed. Owen Lenz is a violinist and native Vermonter who has performed and taught throughout New England and New York for the past 15 years. Owen started studying the violin with renowned Vermont Suzuki Violin pedagogue Mary Gibson when he was 5. In the 22 years since, his teachers have also included Evelyn Read, Theodore Arm, Lynn Chang, New York Philharmonic violinist Lisa Kim, and founding member of the Mendelssohn String Quartet Laurie Smukler, with whom he studied while earning a Bachelors degree in violin performance at the SUNY Purchase Conservatory of Music. His teaching draws heavily on the Suzuki Method as well as wisdom gleaned from his former teachers. In order to avoid falling into a “one size fits all” style of teaching, he works to adapt to the needs and interests of the student in order to keep the learning fun and flexible. A resident of Bethel, Vermont, Owen splits his time between teaching privately and performing in Vermont and New Hampshire.